My shadow included, we‘re a party of three. Eileen Chang (张爱玲Zhāng Àilíng) (September 30, 1920–September 8, 1995) was a Chinese writer. She also used the pseudonym Liang Jing (梁京), though very rarely. Her works frequently deal with the tensions between men and women in love, and are considered by some scholars to be among the best Chinese literature of the period. 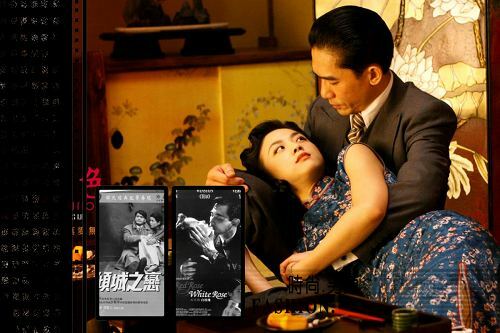 Chang's work describing life in 1940s Shanghai and occupied Hong Kong is remarkable in its focus on everyday life and the absence of the political subtext which characterised many other writers of the period. Li Yaotang (李尧棠 Lǐ Yáotáng November 25, 1904 – October 17, 2005), courtesy name Feigan (芾甘), is considered to be one of the most important and widely-read Chinese writers of the 20th century. He wrote under the pen name of Ba Jin (巴金, also Pa Chin), allegedly taking his pseudonym from Russian anarchists Bakunin and Kropotkin. 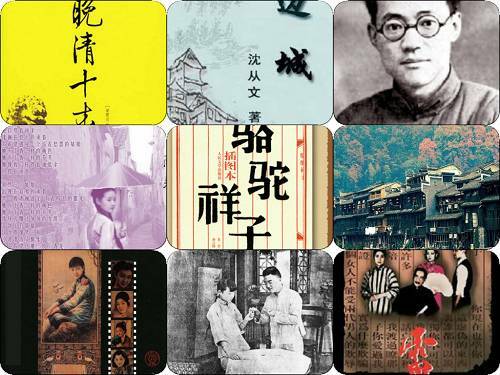 Ba Jin started composing his first works in the late 1920s. Lu Xun (鲁迅 Lǔ Xùn) was the pen name of Zhou Shuren (周树人 Zhōu Shùrén) (September 25, 1881 – October 19, 1936) is one of the major Chinese writers of the 20th century. 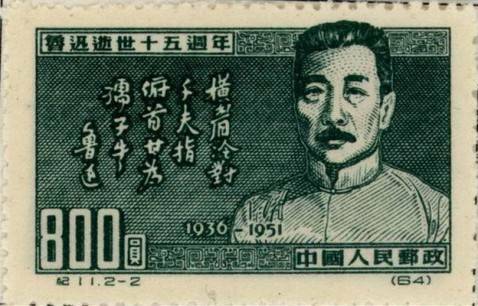 Considered the founder of modern baihua (白话) literature, Lu Xun was a short story writer, editor, translator, critic and essayist. He was one of the founders of the China League of Left-Wing Writers in Shanghai. Lu Xun's works exerted a very substantial influence after the May Fourth Movement to such a point that he was lionized by the Communist regime after 1949. 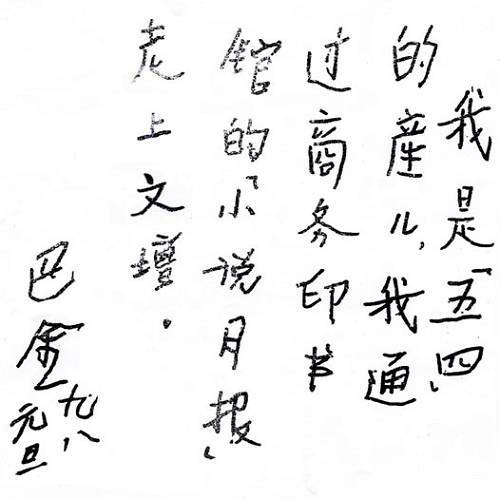 Mao Zedong himself was a lifelong admirer of Lu Xun's works. Though highly sympathetic of the Chinese Communist movement, Lu Xun himself never joined the Chinese Communist Party despite being a staunch socialist as he professed in his works. 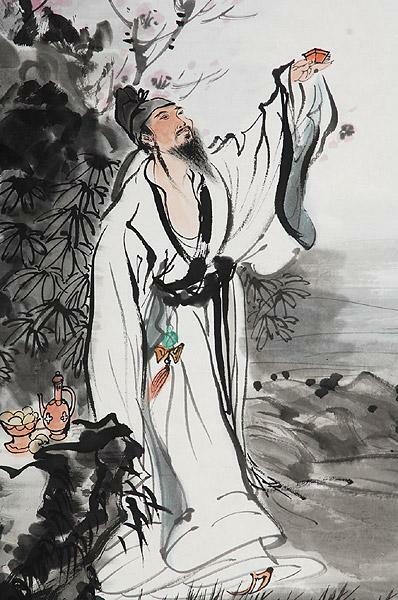 Scholars now tend to agree that modern Chinese literature did not erupt suddenly in the New Culture Movement (1917-23). Instead, they trace its origins back at least to the late Qing period (1895-1911). The late Qing was a period of intellectual ferment sparked by a sense of national crisis. Romance of the Three Kingdoms (三国演义), written by Luo Guanzhong in the 14th century, is a Chinese historical novel based upon events in the turbulent years near the end of the Han Dynasty and the Three Kingdoms era, starting in 168 and ending with the reunification of the land in 280. It is acclaimed as one of the Four Great Classical Novels of Chinese literature, with a grand total of 800,000 words, 1191 characters, and 120 chapters.